Freedom, Massachusetts. By 1973, thirty-year-old Connie Lewis sees only irony in the name. She’s ready to leave her hometown and move with her recently widowed mother to Florida, freed of financial worry to write the novel that’s been languishing in her imagination. The novel’s title–Secrets–turns out to be as ironic as the name of her hometown. Her mother, her sister, and the man she befriends in Florida all keep secrets. In a nine year journey that will take her from Massachusetts to Florida to Oregon, Connie tries to discover ways to make peace with what she has learned and to decide what place she should call home. The protagonist of Leaving Freedom, Connie Lewis, has many adventures – love affairs, book tours, coast-to-coast travel with a buddy – but Sharon Dean’s fourth novel is really about family. Links between parent and (grown) child, siblings, even ghosts and their descendants, mixed with bittersweet memories of Connie’s New England childhood, infuse every line of the book. Though all our clans are different, readers will immediately recognize the dynamics in Leaving Freedom. A farmhouse in New Hampshire that had been on the Underground Railroad. An African-American scholar searching for his grandmother’s history. A body found on the grave of a man who had been the town’s minister during the Civil War. As retired English professor Susan Warner tracks down the motive, she discovers a secret that uncovers the sins of the past and that connects the victim and the murderer. 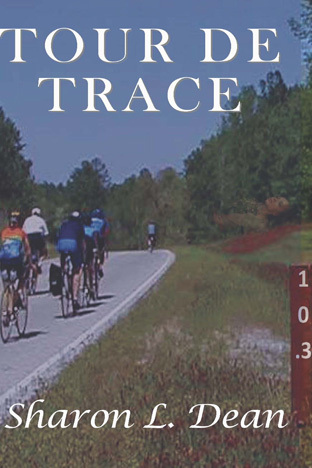 In Tour de Trace, the tenacious Susan confronted the fraught history of Mississippi’s Natchez Trace. In Death of the Keynote Speaker, set on New Hampshire’s Star Island, she unraveled how Celia Thaxter’s nineteenth-century literary salon and a brutal murder on Smuttynose Island led to a twenty-first century murder. In Cemetery Wine, Susan once again finds herself a reluctant sleuth as she tries to solve a murder in a town she calls home. A visiting professor at the local college is found dead in the cemetery. Was it jealousy? A drunken accident. Or did a dark secret from the days of slavery and the underground railroad claim another victim? Susan Warner is facing her toughest case yet. Navigating the treacherous waters of academic envy, illicit affairs and ancient history, she has to dig deep to uncover the truth to exonerate the innocent. The best Susan Warner mystery yet. The body of a visiting African-American scholar is found lying on a sarcophagus in a New Hampshire cemetery, an empty wine glass nearby. Thus begins CEMETERY WINE, author Sharon Dean’s gripping third outing for retired English professor Susan Warner. The victim had been studying the small New England village’s part in the Underground Railroad. Was he killed because of lingering racial animosity? Had long-buried town secrets been unearthed? Plucky amateur sleuth Susan is bound and determined to find the answer. Dean’s mystery is chock full of historical references and instances of the past coming back to haunt the present. A great read! Twists and turns linking a tragic past to a dangerous present will keep you up late reading this latest Susan Warner mystery from Sharon L. Dean. Atmospheric New England settings and village characters with dark secrets play big supporting roles to an amateur sleuth who’s fascinated with history — especially if it offers clues to modern-day murders. For those of us following the adventures of Susan Warner, the retired English professor and reluctant sleuth, Cemetery Wine is a most welcome addition to Sharon Dean’s series, which includes Tour de Trace and Death of the Keynote Speaker. Susan is smart, energetic, curious, and no-nonsense. In this novel, Susan and her family have been sharing their New England farmhouse with a visiting African-American scholar researching Underground Railroad routes through the area. Following a farewell party in the scholar’s honor, he turns up dead. Susan’s daughter’s boyfriend is fingered as the likely murderer and jailed. Other local characters, both at the university and in the community, have motives for killing the scholar. Along the way, the reader learns a lot about the Underground Railroad, passing, and contemporary university politics. Great fun! When Susan Warner plans a conference on the writer Abigail Brewster, New England’s Isles of Shoals seem the perfect setting. Members of the Abigail Brewster Society will stay in Star Island’s historic Oceanic Hotel. They’ll visit Appledore Island, where Abigail summered at Celia Thaxter’s nineteenth-century salon for writers and artists, and Smuttynose Island, the scene of a notorious 1873 murder. But Susan hasn’t counted on a twenty-first century killer or a killer storm. Death of the Keynote Speaker blends a fictional Abigail Brewster with the actual histories of Star, Appledore, and Smuttynose islands. Susan needs to piece together the connections between the past and the present as she searches for a murderer while trapped with her group in a creaky hotel with no locks on the doors. If a violent storm outside the old hotel on this rugged, historic island aren’t enough to get your pulse pounding, the strange thoughts and actions of island denizens and conference goers will! Many have an axe to grind, so to speak. But only one applies the blade to a living person. Fast-paced and filled with New England island lore and literary references, “Death” would be a good read in any setting. In her second Susan Warner mystery, Sharon Dean challenges the reader to solve an intriguing puzzle involving the biography of fictional nineteenth century author Abigail Brewster in addition to the murder of one of the scholars attending a conference devoted to Abigail Brewster studies. A retired literature professor, Dean is at her best here parsing academic riddles, romances and rival interpretations of Ms. Brewster’s life and work—especially that part touching on her stay at an island resort off the New Hampshire coast called the Isles of Shoals where a lurid ax murder took the lives of three of Abigail’s friends shortly after her last stay there. A modern murder that eerily evokes the famous triple homicide of Abigail’s day takes place as those same islands, site of an academic conference, are gripped by a fierce storm and help from the mainland is impossible. Susan is there to sleuth out the solution to the crime while trying not to get killed herself. Very entertaining read! Tour de Trace, A-Argus Books, 2014. The younger cyclists who signed up for camping and biking along Mississippi’s Natchez Trace may think of Susan Warner as old. But she is no Miss Marple or Jessica Fletcher. Retired from teaching, she sports a lavender streak in her silver hair and though she has the slowest mph, she can cover the distance. But when she steps out of her tent the first morning, only ten of her fellow cyclists appear. The eleventh has left a note saying that she will return later. Later never happens. Instead, the riders discover the cyclist’s body stretched crucifixion-style on an ancient Indian mound. With each turn of her bicycle wheel, Susan searches for the killer. Is it an ex-husband? The owner of a decrepit bed and breakfast? A snake handler? Or is it one of the cyclists? Her ride along the Natchez Trace pits New Englander Susan against an unfamiliar landscape and a murderer. Sharon Dean has brought a new amateur sleuth to the crime genre. And she’s a delight. . . Susan Warner is a feisty newcomer to the ranks of amateur sleuthing, and I look forward to further adventures. Sharon Dean deftly brings to life a group of diverse, lively, and sometimes sinister characters. . . . Susan Warner’s energy and strength, both cerebral and physical, make her a heroine I hope to see more of in future adventures. Tour de Trace includes lots of interesting history, and dozens of literary allusions from the author, a former Professor of Literature. Add to that wonderful descriptions of Mississippi flora and fauna, and the nitty-gritty details of long-range cycling, and you have a fine debut novel from Sharon Dean. 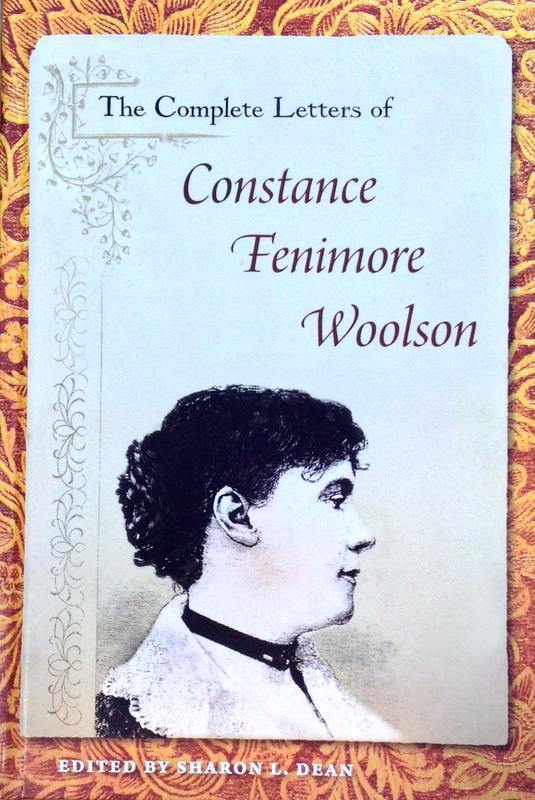 Editor, The Complete Letters of Constance Fenimore Woolson. University Press of Florida, 2012. Sharon Dean has recompiled, dated, and, in many cases, physically reassembled all of Woolson’s extant correspondence from nearly forty sources. Dean’s painstaking work presents the fullest picture we have of Woolson and functions as an important corrective to the fictional portrayals. In these letters one finds rich personal detail alongside ruminations on contemporary political and social conditions. A trenchant critic of the customs and mores of her age, Woolson, in her letters, offers a nuanced perspective on life as a woman and as a writer in the nineteenth century. Dean . . . , a seasoned scholar of Woolson’s life and works, brings to this ambitious project her wealth of knowledge about the author. . . . Editing a collection of letters is not easy task, but Dean has done a meticulous job, producing a volume that is user-friendly and offers an abundance of social and historic context. . . . This rich volume also features an eloquent introduction and a chronology that documents notable events in Woolson’s life. A superb resource. Scholars of Constance Fenimore Woolson owe Sharon Dean a great debt, as do scholars of Henry James, considering that Woolson was one of his closest friends. Dean has single-handedly advanced immeasurably the study of this remarkable author, whose works are exposed to ever sharper, more complex modes of analysis, but whose life has remained shadowy at best. Dean has performed the difficult feat of making the letters accessible to students and lay readers as well as useful to scholars. It is an immense achievement that will spark new readings of Woolson’s life and works as well as her relationship with James. Dean, now Professor Emerita from Rivier College, has left a lasting legacy that will enrich Woolson scholarship for many years to come. Meticulously edited and contextualized, Dean’s edition of Woolson’s complete letters opens the door to an extraordinarily gifted writer’s works. It offers depth to Woolson studies, but it also connects Woolson to the nineteenth-century literary marketplace in new and fascinating ways. Peopled by the famous, the infamous, and the unknown, the letters sparkle with intelligence and energy, providing insight into contemporary attitudes that Woolson sometimes shared, sometimes satirized, and sometimes defied, while they reveal an ample sensibility that anticipates today’s concerns for the environment, regional and national identity, and global citizenship. Ultimately, these letters reveal the broad scope of a well-traveled life and the depth of an intensely observant artist. Every reader interested in the lives of nineteenth-century authors or women should savor every one of this extraordinary writer’s letters. Scholars interested in Constance Fenimore Woolson and nineteenth-century American women’s writing more broadly owe a debt of gratitude to Sharon L. Dean for her meticulous edition of Woolson’s letters. The University Press of Florida deserves praise for undertaking the publication of Dean’s edition . . . . The letters fill a single volume, but an unusually long one for a university press. Editor with Victoria Brehm, Constance Fenimore Woolson: Selected Stories and Travel Narratives. Knoxville: University of Tennessee Press, 2004. This volume, as the first anthology to collect representative samples of [Woolson’s] stories, travel sketches, poems, and correspondence, represents a major advance toward re-establishing her place in nineteenth-century literature and letters. As these pieces demonstrate, Woolson offered keen observations of the issues she card most deeply about, namely the cultural and political transformation of the United States in the wake of the Civil War, the status of women writers and artists in the nineteenth century, and the growing implications of nationalism and imperialism. This collection features selections fro each of the three distinct periods of Woolson’s career and includes a chronology of her life and travels. Focusing primarily on Woolson’s short stories, editors Victoria Brehm and Sharon L. Dean also include a representative letter, poem, and travel sketch for each section. Constance Fenimore Woolson and Edith Wharton: Perspectives on Landscape and Art. Knoxville: University of Tennessee Press, 2002. The first study to draw connections between Constance Fenimore Woolson and Edith Wharton, this book explores the contrasting ways in which these two important writers responded to the rapidly changing landscapes of the late nineteenth and early twentieth centuries. Sharon L. Dean considers the travel essays of Woolson and Wharton, as well as their fiction, and contextualizes their work with the rise in tourism and with evolving theories and techniques of landscape design. She argues that for both writers, the manner in which they saw and transcribed landscape informed their ways of seeing themselves as artists. Full of fresh insights into the literary achievements of both Woolson and Wharton, Dean’s book will also prompt readers to reconsider their own responses and obligations to landscape and how these responses are shaped by their experience and by larger cultural forces. Constance Fenimore Woolson: Homeward Bound. Knoxville: University of Tennessee Press, 1995. Using a thematic approach, Sharon L. Dean examines Woolson’s novels and short stories in terms of how they illuminate her era’s attitudes about a variety of cultural issues: artistic endeavor, the struggle for women’s rights, demographic change and the rise of industrialism, and the nexus of social class, race relations, and ethnicity. . . . This study demonstrates how Woolson journeyed in her writing from a vision of homogenous regional communities to a vision of the diversity and tension embedded in the national community and, finally, to a vision of herself as an outsider in relation to all communities. The strength of Constance Fenimore Woolson: Homeward Bound is Sharon Dean’s ability to interweave biographical details of Woolson’s life with discussions of her fiction. This interweaving, in conjunction with Dean’s engaging prose style, makes Woolson’s life and works come alive. Dean offers valuable critical appraisals of Woolson’s work, especially the treatment of race and of gender expectations in her fiction. By contextualizing Woolson’s entire corpus within the ethnic, regional, artistic, and sexual conflicts of the late nineteenth century, Dean contributes powerfully to the resurgence of interest in this long-neglected author. Dean . . . has written an illuminating book about Woolson’s importance to cultural studies of the American post-bellum period.